There are now some good alternatives to brass jags. 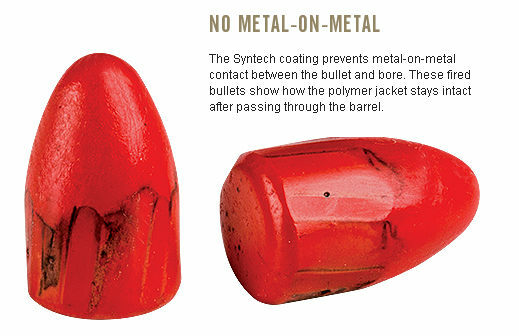 The best may be the Gunslick® Nylon Snap-Lock™ jags shown at right. These never leave a “false positive”. A while back, Larry Bartholome, past USA F-Class Team Captain told us: “The best spear-type jags I have used are the GunSlick black nylon tips. I have used the model 92400 for the last couple years in my 6BR and 6.5-284s. 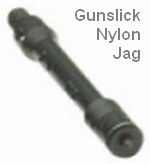 Unlike the white plastic jags, these are strong and there’s no brass to worry about.” You can purchase these nylon jags directly from GunSlick just $1.49 each. At that price, they’re worth a try. Tipton Nickel-Coated JagsIf you prefer a metal jag, consider the Tipton Nickel-coated Ultra Jags, sold both individually and as a boxed set. 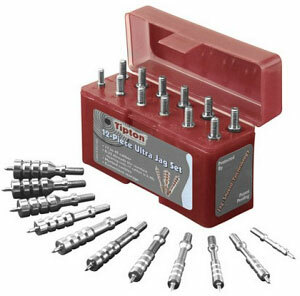 We recommend the new-style, 12-Jag Kit from MidwayUSA (Midway item #812503, $16.99). 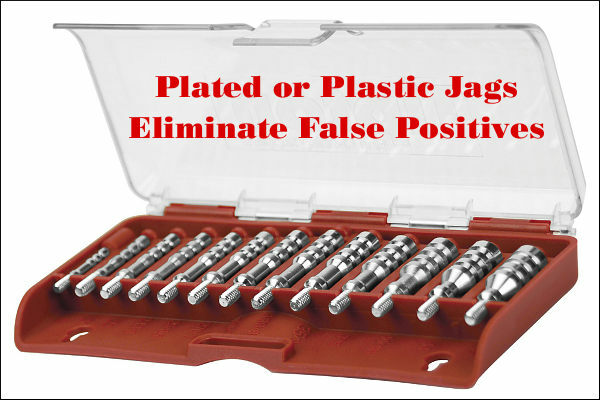 This features an easy-to-use, clear-topped fitted caddy that can lie flat on your bench, or be attached vertically (to save space).All Tipton nickel-plated jags have 8-32 thread, except for the .17 caliber jag which has a 5-40 thread. The vast majority of user reviews have been very positive. A few guys have complained that the nickel-plated Tipton jags run oversize, but we use a .22-caliber jag in our 6mms anyway, so this hasn’t been a problem for us. 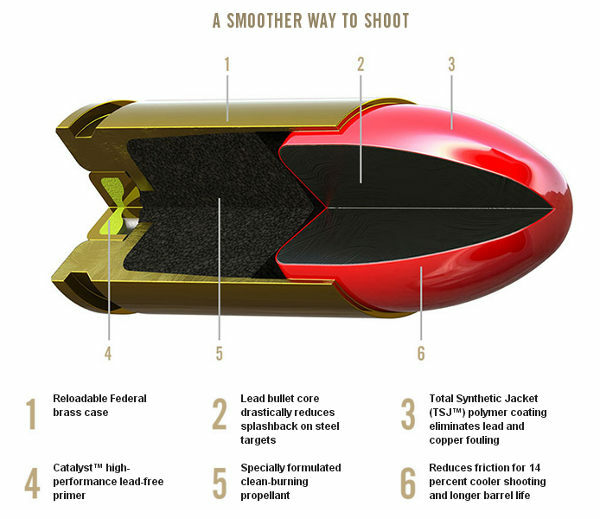 The 6mm (.243 caliber) nickel-plated jag (MidwayUSA item 259834) costs $4.79. Another Tipton 12-jag set (photo above right), covering .17 to .45 calibers, including a flip-top carry case, is offered by Midsouth Shooters Supply for $17.62 (Midsouth item 094-500012). Share the post "Solvent-Resistant Jags — No More “False Positives”"
Last year 43,196 young Americans earned a very special marksmanship distinction. Can you guess what that was? Here’s a hint — the award helps a young person become an Eagle Scout. That’s right, last year 43,196 Boy Scouts earned the Marksmanship Merit Badge for rifle shooting. This is one of the toughest badges to earn, according to Scouting leaders, but it is still one of the most popular badges among Scouts — it fact it is the second most earned elective merit badge. 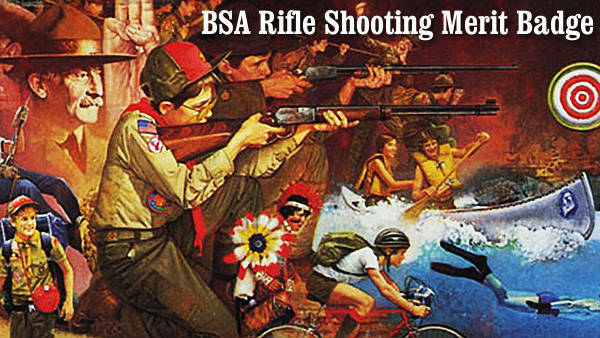 Since 1910, over 350,000 Scouts have earn Rifle Shooting Merit Badges. Millions more have participated in Boy Scout Shooting programs. 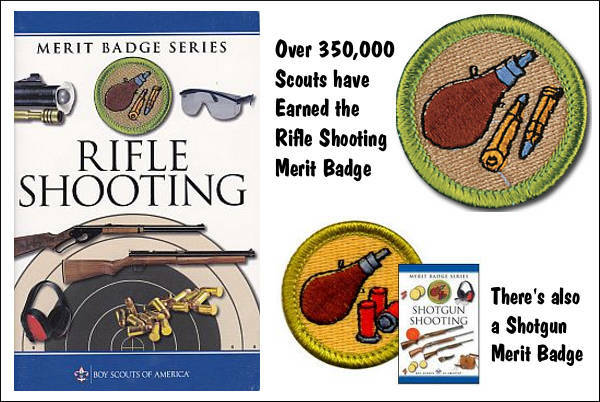 Merit badges are offered for both Rifle Shooting and Shotgun shooting. Share the post "Scouting on Target — The Marksmanship Merit Badge"